Conservatories create additional living area that easily blends and mixes indoor and outdoor space. 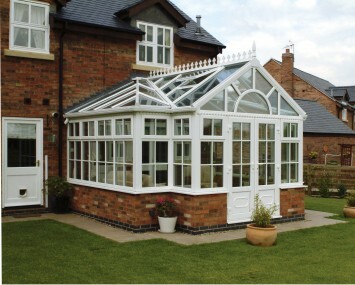 All conservatories are made to measure and tailor-made to your requirements. They are available in all styles (Lean-To, Edwardian, Victorian, combination, etc.) and Kent Glazing will undertake all of the work, from the building work at the start right through to the structure itself with the result being an elegant addition to your house. They are available with double doors, bi-fold doors, patio doors, in fact whichever design you would like!